In a world ruled by review aggregators, biased opinions, groupthink & franchise shills a few cinephiles have been banished to the wasteland for speaking truth. A lot has been written, said and speculated about the Snyder Cut of Justice League. 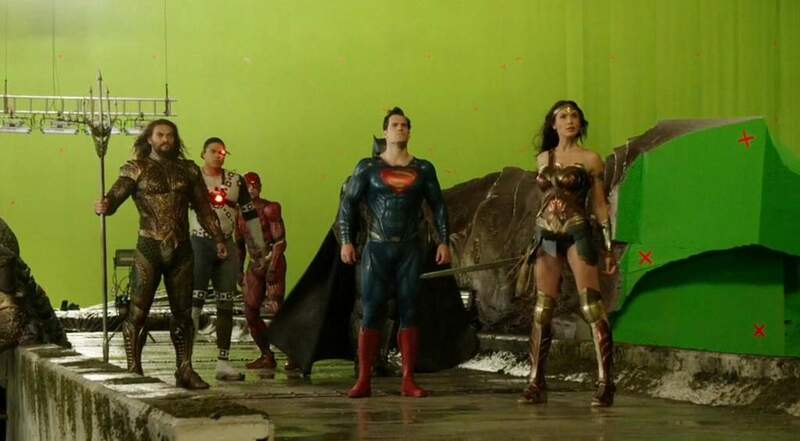 From the moment of its release, it became clear to fans of the filmmaker, that the theatrical cut of Justice League was not a Zack Snyder film. In the weeks that followed, some of us began to get tidbits of information from sources close to the film, which in collaboration with an understanding of Zack Snyder’s shooting methodology, made it clear that there was another version… Zack’s version. Over the course of the 17 months since the theatrical release, clues have continued to fall like breadcrumbs about what fans have donned “The Snyder Cut”. Much of this evidence has come from behind the scenes footage that became available on the bonus features of the home video release. Using this evidence it became clear that this would be a longer cut that more closely resembled the tone, aesthetic and sincere approach to comic book lore that Director Snyder had imbued in his films. Director Snyder himself has spent much of that time sharing on-set pictures and discussing with his fans on VERO about some of the details of his original cut of the film. These reveals have always come with plenty of excitement and have fueled discussions and speculation, making the desire for the release of his vision all the more necessary for many. On November 29th 2017, Kevin Smith discussed some Snyder Cut rumours. A member of the audience familiar with Kevin had claimed to have been at one of the early test screenings of Justice League, likely to have been Zack Snyder’s version of the film. When questioned, she claimed that she saw “a Darkseid” that although wasn’t completely finished, was close to it. On February 13th, 2018, forsnydercut.com founded by fellow Film Exile Fiona Zheng released the following storyboard from Zack Snyder’s film. In the image we see Darkseid seated on a throne holding a staff (thought to be Highfather’s golden staff which draws its inconceivable power from the Source), and a few shots of the motherbox appearing to explode in a blue glare. The storyboards indicate that the result of this explosion is a kind of terraforming of Earth into the Apokolips style planet we saw in Batman V Superman’s “Knightmare” sequence, in which we see what we can only be described as the fallen Hall Of Justice; the home base of the Justice League. As the months progressed, Director Snyder continued to share his storyboards via his social media account on VERO. One of these storyboard posts was of Lois Lane visiting Heroes Park to pay her respects to her love. In the comments of this image, one fan asked Zack if he was able to shoot all of the storyboard scenes that he has been posting, to which he replied: “I shoot what I draw”. Trawling through the early trailers of the film, which contain Zack Snyder shots exclusively, one can find that at the 1 minute 44 second mark of Official Trailer 1, there is an explosive flash of blue. This is likely to be the explosion which we see in the storyboard, indicating that Zack Snyder does indeed shoot everything he draws. This then should surely push the idea that if Zack shot these scenes, was there an actor to play Darkseid? The Film Exiles can confirm from a source close to the production, that not only was Darkseid in Snyder’s cut of Justice League but that he was cast, and was performed by none other than Ray Porter. Ray Porter has been actively working in the film and television industry. His credits go far and wide, but most recently he worked on the Ben Affleck Oscar-winning thriller Argo. He has done stints on Television and has appeared on Shameless, The Mentalist, Modern Family and The Kids are all right. What Mr. Porter is most known for are the voice talents that he regularly lends to audiobooks. He is considered to be one of the top talents for Audible and continues to work on a variety of titles. We asked friend of The Film Exiles, Ramesh De Silva, to lend his talents and produce a mock-up of what we think Ray might have looked like as Darkseid. Of course there is no way to know for certain, especially how much CGI would have been used, but we thought it would be fun to visualize. You can find more of Ramesh’s work on his various social media accounts, and on his Twitter @RameshDeSilva2. This news further shows the disconnect between Director Snyder’s version of the film, and the one that was released in theaters. In that film, Darkseid was nothing more than a throwaway name that probably didn’t mean much to most general audience members. This confirms that Darkseid had an active role in the events of the film and that this was a monumental shift away from the original intent of the script. Porter might not be a household name, but there is no doubt that Director Snyder has always had a keen eye for casting. From 300 to Sucker Punch to his DC films offering, he has always been able to find the perfect actor to embody a role. One can only hope, that we one day get to see Ray Porter’s performance the way that Zack Snyder had intended. For Further Information and discussion on the news, stay tuned to @TheExilesNet page for an upcoming podcast.